If there is one thing that most Luxembourgish (metal) bands are known, or should I say notorious, for it’s the amount of time it takes them to release new material. While the reasons behind that are understandable, it doesn’t make it less tiresome to wait for more than five years for a new album by your local shredders. Today I have the pleasure of writing about a record that boosts the waiting time to a full seven years. 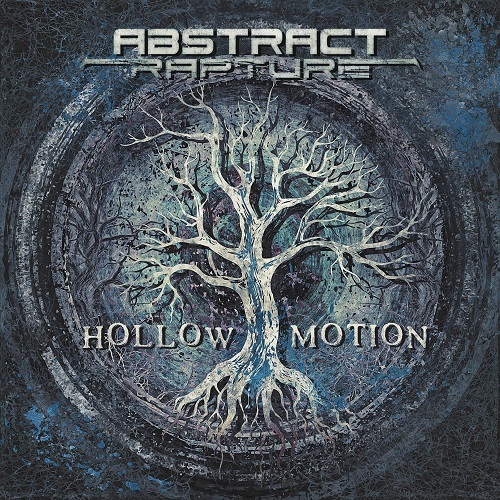 Let me just get ahead of myself and say that Abstract Rapture’s Hollow Motion was well worth the wait to me. Read ahead to find out why I think so! First off, a brief history lesson about what went down in those years: the vocals, drums and lead guitar are still in the hands of the original members, but the rhythm guitar and the bass has seen the addition of two new faces in the form of Maks and Alex, who (used to) play in Retrace My Fragments. The addition of these two has definitely brought a new, and at times very different, breath of fresh air to the quintet’s sound. While the fifty-one minutes still feel like your classic AR, there’s also quite a few instances where you might wonder if the album has switched mid-song without you noticing. Generally speaking the album has a fairly high level of musicianship, but there are a couple of songs that definitely stand out high above the rest, namely Inner Plague. The song is an interesting blend of the trademark Abstract sound and something that could be straight from a black metal record…and it works to perfection! I predict many a sore neck at gigs when this song is being played! This might just be me, but the addition of the new members has had a heavy influence on the songwriting, because I feel that especially the guitars have become “spacier”, for lack of a better word, and full of new elements. I’d even go as far and say that this is the most innovative release of the serial boozers since their debut EP Dead End Entry. Out of the eleven songs, there are two interludes that can be regarded as intros to the songs they precede, and even those have a feel to them that I haven’t previously found in the band’s sound. The drums…I honestly don’t know what to tell you about them. The man is a local legend and delivers another top notch performance that locks in extremely tightly. The vocal melodies are also more memorable to me than on Earthcrush, and the lyrics delve further into the common themes of the guys’ music. Especially the closing track, Ego Non Te Absolvo, feels like a spiritual successor to the debut full-length’s closer, Observations In A Mirror (Through The Eyes Of An Alcoholic). All in all, Abstract Rapture did take their sweet time to hit us with new material, but in my humble opinion it was well worth the wait! Hollow Motion is going to give the local metal scene a strong record to finish the year with and I for one am very much looking forward to the band’s future! If you’re interested, make sure to check out the record when it drops this Friday, December 14th, and head over to the band’s Facebook page for more information on the release show!